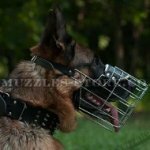 Read the review of different types of dog muzzles and choose the best one for your dog. 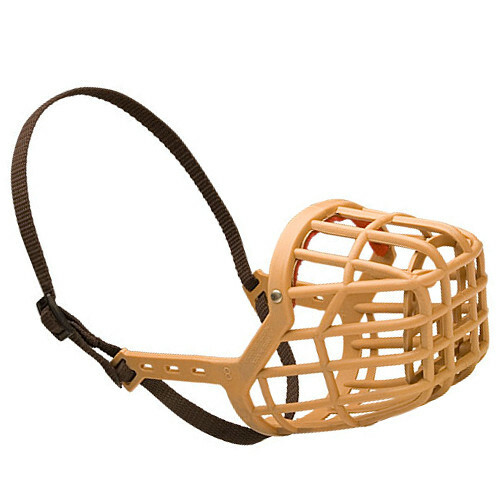 Muzzles for dogs are intended to protect strange people from dog's teeth. 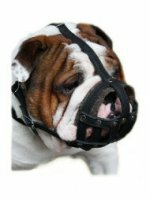 Dogs have to be muzzled while transportation in public conveyances and in public places. 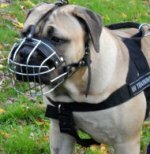 It is necessary to put a muzzles for dogs also while visiting a vet or a groomer – as well as not any dog can undergo touches and physical examination of a strange person. 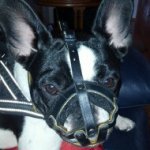 It goes without saying that a pet should be trained to wear a muzzle. 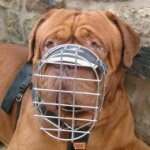 Muzzles for dogs itself should be comfortable for a dog, otherwise their wearing will be like a torment and a dog will do all possible to get rid of it. 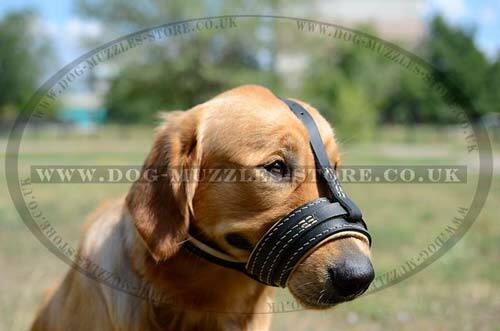 Far not every model of muzzles for dogs on offer is comfortable and durable. Fits the snout tight, has a hole for a nose tip. 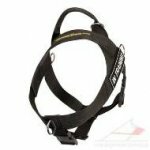 Fastened with a forehead belt and straps clasped on the back of the head. Secured protection from teeth of the dog. 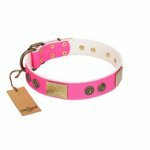 The fasteners are combined the way that a dog cannot strip the muzzle off. The stroke with the close muzzle is just unpleasant because it is soft. The jaws of a dog are tightened, that's why it multiply raises the risk of heatstroke in the hot weather. 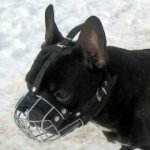 A dog cannot drink muzzled. Closes the snout to eyes without tightening the jaws. The place where a muzzle fits the head of a dog is canted with leather. Is made of welded wire netting. Fastened with belts that envelop the back of the head. Comfortable for bearded (stiff haired) dogs. Muzzled dog is able to breathe free and drink water. In frosty weather it can burn lips and tongue. Closes the snout to eyes without fitting it closely. Made of leather stripes that are joined with rivets. Comfortable for bearded (stiff-haired) dogs. Muzzled dog breathes free and drinks water without discomfort. 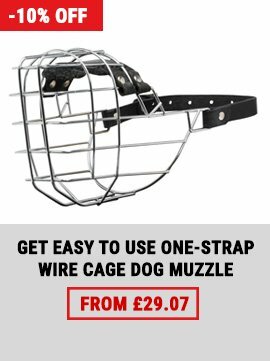 A dog gets used to a light and comfortable muzzle fast. It does not hurt lips on the frost. The biting-fanciers chew the stripes the way that they are not able to protect from their teeth. The leather of the basket turns sour and gets dry. In the order to prolong the use of a muzzle it is to be regularly washed and lubricated with castor oil for softening of the leather. The model is similar to the previous two. It is made of durable and flexible plastic. 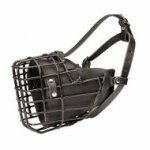 All the benefits of the leather basket dog muzzle. It is easy to be washed. It is difficult to turn the tongue out of the net and especially to bite. Too weak for strong and big dogs. 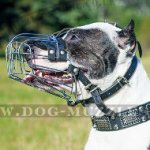 It has been said earlier about the necessity of the ability to wear a muzzle for an urban dog and about the way of choosing the right one. In addition, it is a good training for obedience. Let's go further with the theory of mastering this practice. First of all let's agree that the most important in this process is not to create any negative emotions in relation to a muzzle. 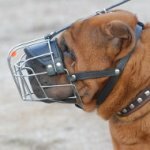 That's why even when a dog masters the practice of wearing a muzzle do not use it in situations connected to letting hurt or discomfort. For example, when you do injections or vaccination, while ears examination, while claws cutting and so on. If a dog is aggressive, it is enough just to tie up the jaws with a bandage. 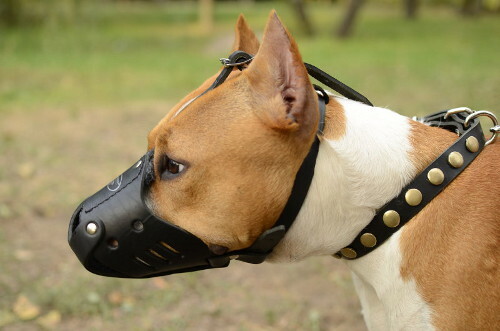 Train your dog to wear a muzzle at home in a calm, familiar situation for a dog. Show a muzzle to a dog, give to smell it, examine, but don't let play with it. 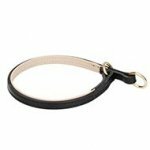 Put a treat inside a muzzle and feed it like from a pan. Praise your dog demonstratively. Repeat this exercise the first several days. If a dog reacts too negatively, you have to feed it for breakfast, lunch and dinner using a muzzle as a pan. As your task is to get the result when at the very sight of a muzzle your dog associates it only with pleasant things. 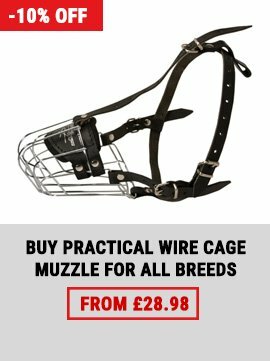 At the next stage of the practice put a stripe carefully on the dog's head while feeding and at once put one more piece through a hole in a muzzle and, after a little pause (several seconds), take it off. At the next practices prolong the time. Be inventive, think what does your dog like the most? I will not mistake if suppose that every dog adores the moment when you put your boots on and take a leash. Use it as one more positive confirmation. 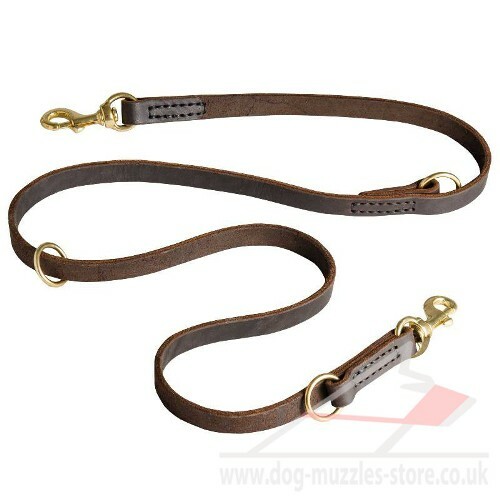 Muzzle a dog and begin to prepare for a walk. Having gone out the house, take it off. 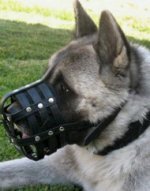 In a later date prolong the time of a dog being muzzled. The dog tries to take a muzzle off with its paws. May be you have gone to the next stage of the practice too fast. Do not rush things. In the moment when a dog is trying to get rid of a muzzle you should not take it off at once. It will be taken by a dog for approval of its actions. It is better to turn its attention, for example, with the favorite toy or with an order to lie, and only then to take a muzzle off and give a treat to a dog. I ordered 16 muzzles in bulk. 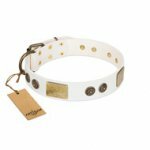 FDT Artisan Soft Brown Leather Dog Collar "Bow-Wow Effect"
FDT Artisan White Leather Dog Collar With Studs "White Melody"